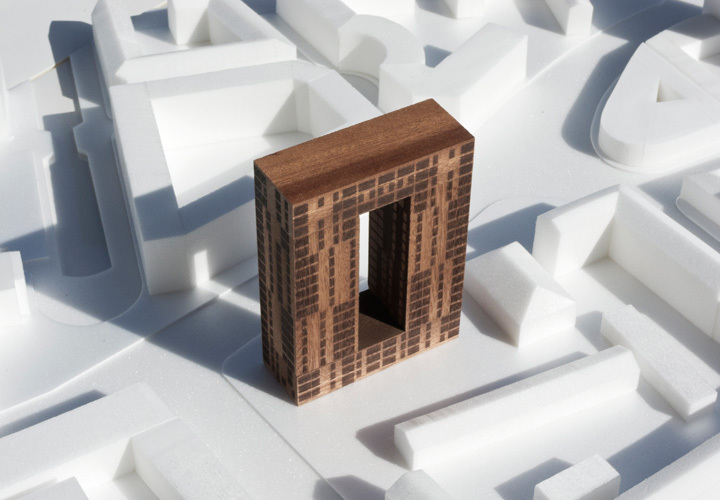 The Portal is a proposal for a 20-storey residential building with 140 apartments, located in the centre of Aalborg and close to where two of the city’s main traffic arteries intersect. 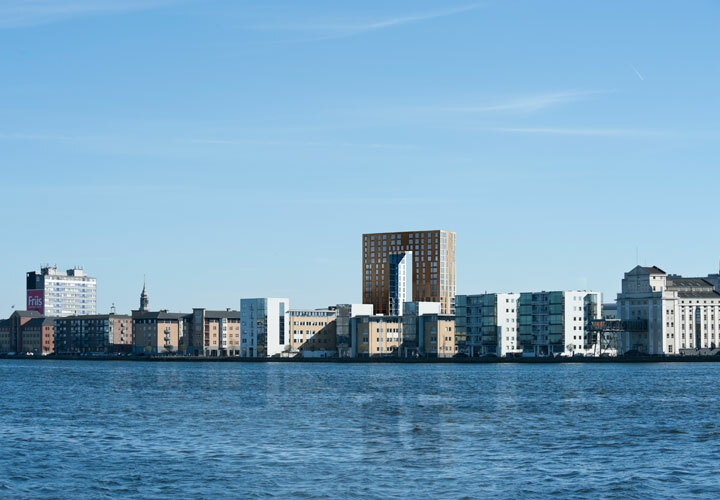 A series of distinctive architectural landmarks shape Aalborg’s distinctive skyline to the east and occupy prominent and visible locations, when moving along the two axes. 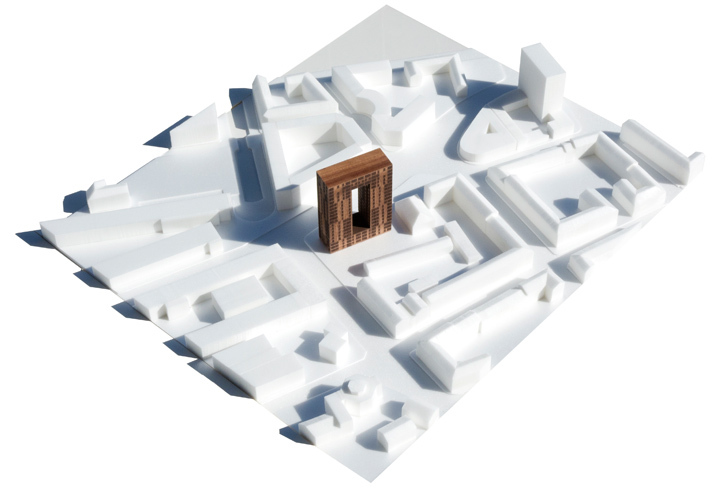 The project site’s location to the west of the intersection holds the potential for marking the gateway to the western part of the city and balancing the expression of the skyline to the east in the form of a significant new building – the Portal. 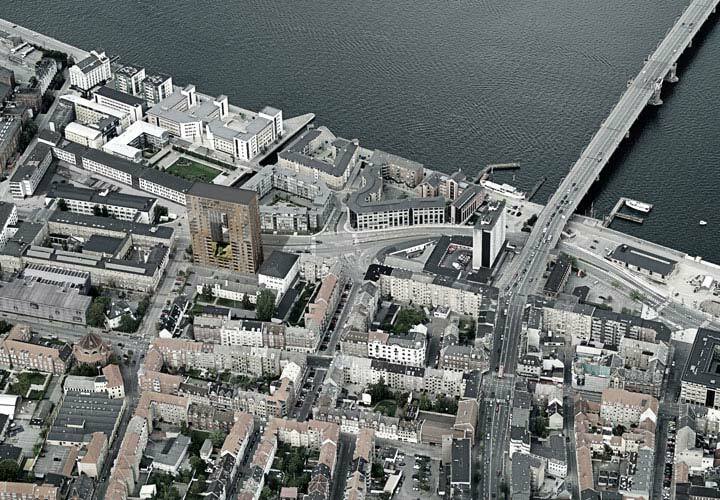 The Portal aims at supporting and accentuating the adjacent urban spaces and functions by constituting a notable addition to Aalborg’s face towards the water. 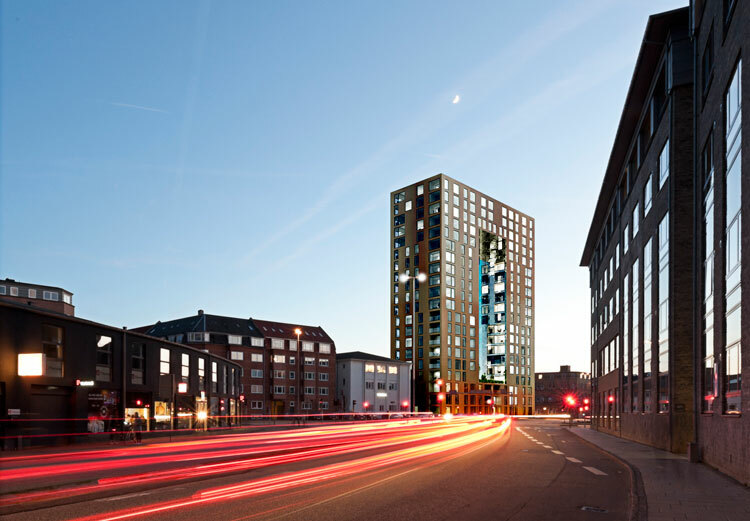 That is, a building that draws attention to itself through a strong and recognisable identity, but without compromising the housing qualities for its residents or being visually importunate. 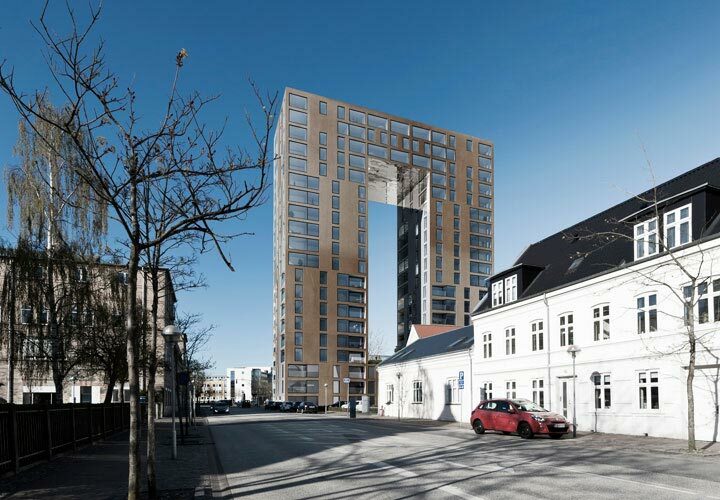 A massive building volume would seem to be the most profitable solution with most saleable square meters possible. 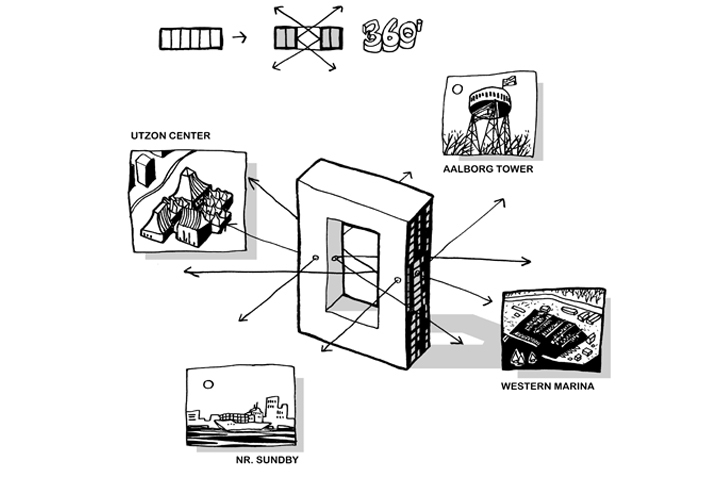 But a building of such height and size would be intrusive and obstructing in relation to its immediate surroundings. 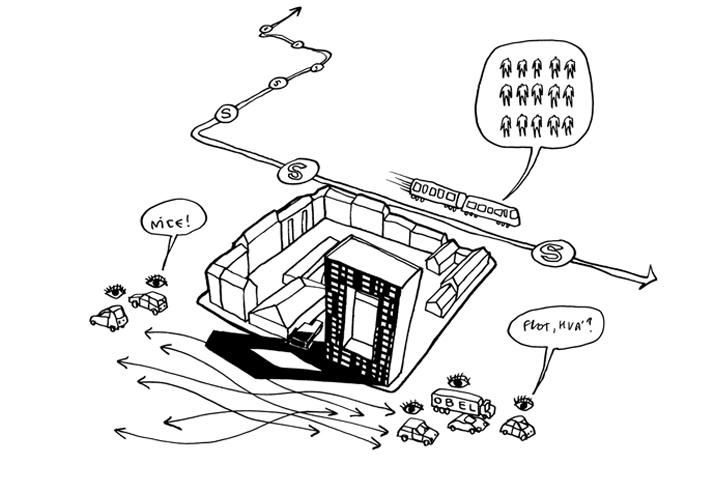 Therefore, the Portal is designed with a large central opening that spans all the way from the 4th to the 17th floor. 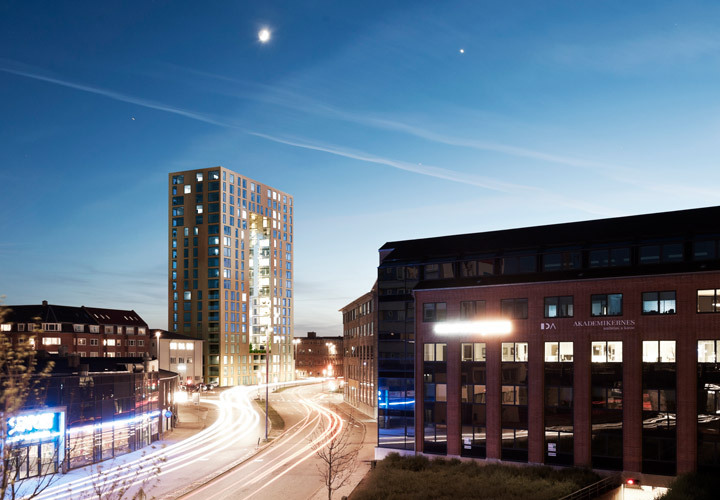 The opening maximises views from the individual apartments and literally opens the building towards its surroundings with views in all directions. 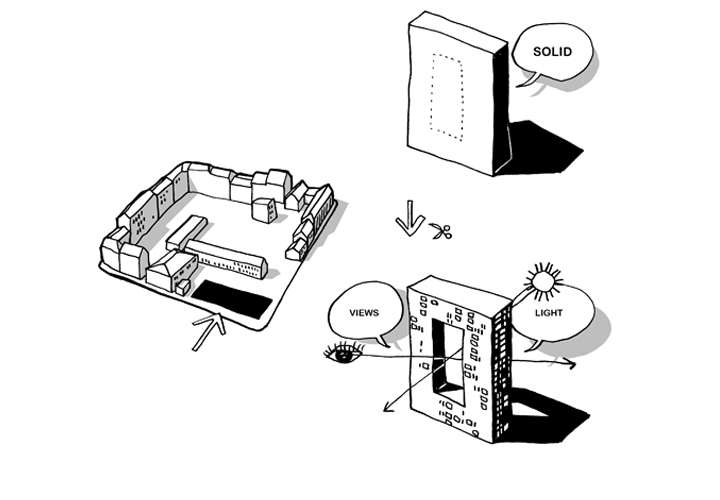 Two additional facades are inserted into the building, so to speak, which makes it possible to fit the “inner” dwellings with rooms that are lit from both sides, thus enhancing daylight qualities throughout the building. In addition, the opening creates a common outdoor space. 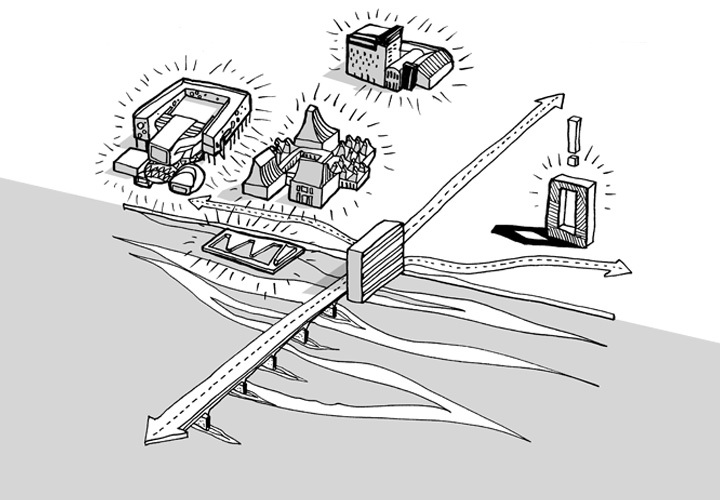 Residents in high rise buildings usually only have limited or no access to larger outdoor areas like the ones we know from the classic perimeter block developments. 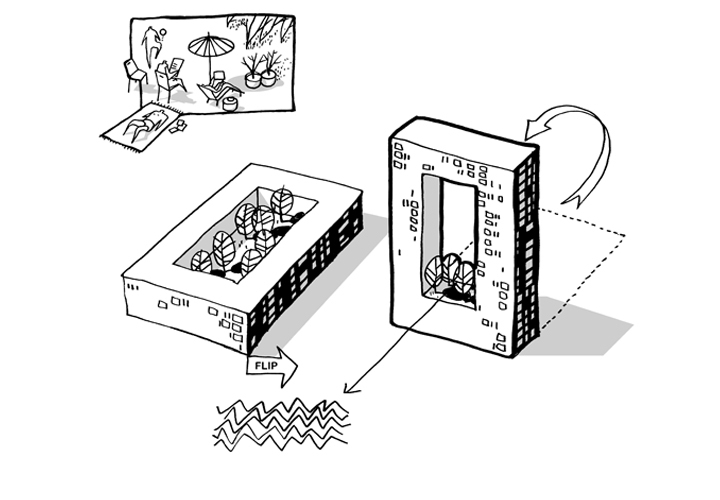 The Portal can be seen as such a perimeter block that is turned on its side, thus creating an outdoor space at the bottom of the opening. This also means that the space is raised four storeys above street level, which grants views over the city and a certain level of privacy in this “courtyard environment”.